According to a definition Tabletop photography is a branch of still life photography that focuses on photographing items that can be placed on a table. Some of the most common examples of such photography are product photography and food photography. Product photography is used quite a lot in online sales of products. Now with the boom in the ecommerce business product photography and table top photography have become the buzz word. We excel in this line of Tabletop photography and use the combination of camera, lenses, lights, photo editing and talent to ensure that your photographs come out looking the best. While we do take care to ensure the best, you as customers too can follow some of these guidelines to ensure that your product looks the best. Ensure that you tabletop products / packaging are clean and do not have any blemishes or finger marks. So depending on your objective you have to choose between fashion photography and glamour photography. If you have a choice of colors in your products range, ask the tabletop photography studio about which colors can appear the best and get those products for the photo shoot. Some products require specific stands that are used to hold them in the right position. The Table top photography studio may not have the specific stands. If this is the case then do get the stands to the photography studio. This ensures that your product photograph looks the best. 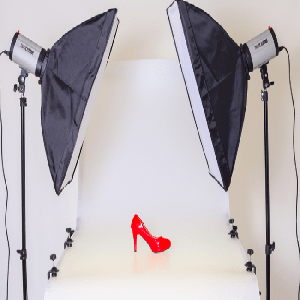 Many times the photography studios have an array of equipment at their disposal. A lot of times such equipment can make your photographs stand out. Ask the photography studio about such equipment (cameras, lenses, add ons), while this can add to your cost, the result can be worth it. So these are some tips that can help you and your photography studio get the best out products.